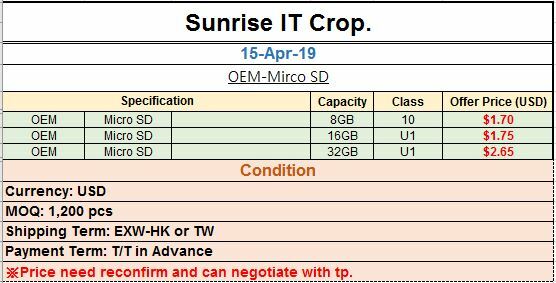 Our company established in Taiwan since 2003, we manufacture memory card in Taiwan by OSE , We have sales office in Taiwan and Hong kong, all the memory card order can be inspected in Taiwan or Hong Kong. We provide high quality memory card with competitive price and more than 15 years experiences to service worldwide customers. Please feel free to contact us for any inquiry our MOQ is small so welcome all the customers order with us . Please contact our sales team for inquiry detail.